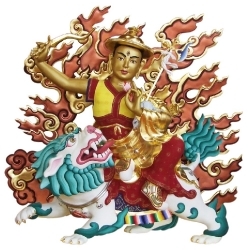 Inviting a 3-feet Dorje Shugden statue, just in time for Chinese New Year! It’s always an exciting time when you finally move out of your parents house and into your own. When you do, getting your house blessed is the perfect way to start a happy home! 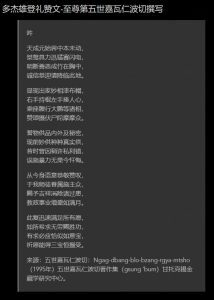 Chinese New Year marks the point of new beginnings for many. 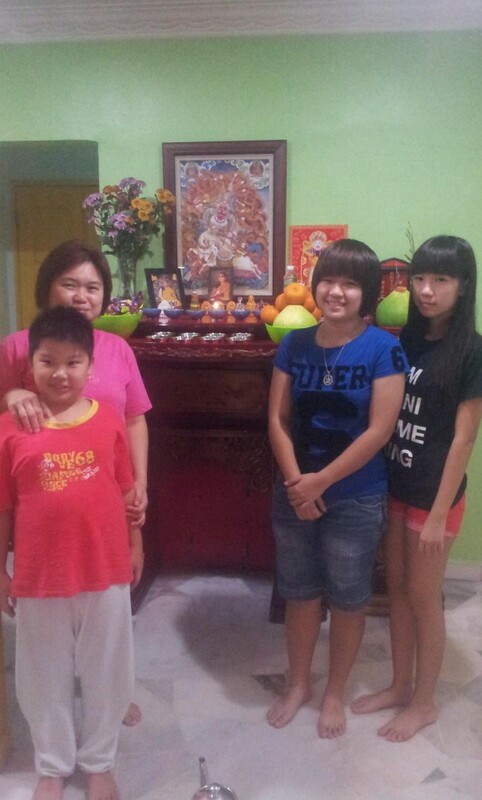 The Gan family chose to have their house blessed as a family, and to begin the new year with positivity! 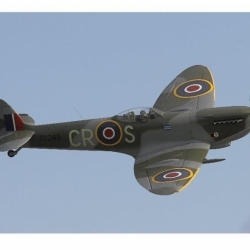 As we leave the previous year behind us, we look ahead with hopes for a better year. Amidst the yee sang, fireworks and ang pow – most Chinese families include prayers into their New Year celebrations. The Lee family was one of them! 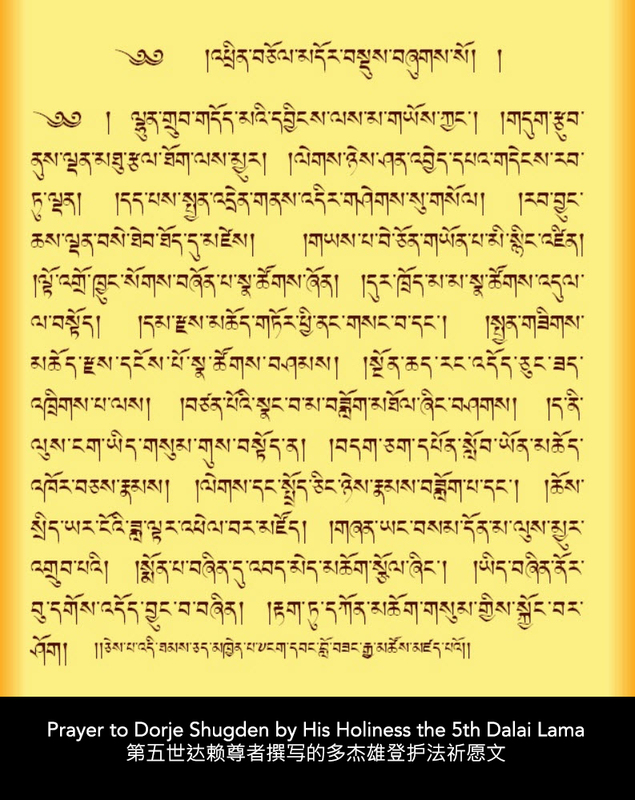 We can read Buddha’s teachings, and we can view Buddha images. 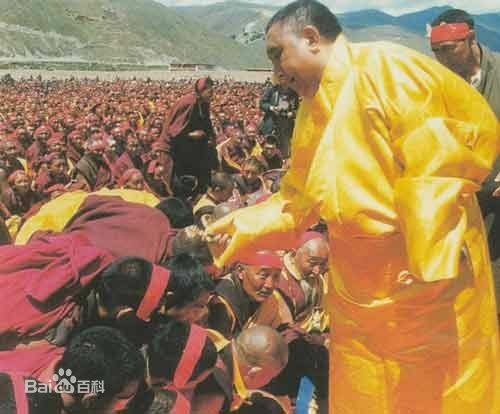 However, only a living spiritual guide is able to deliver Buddha’s pure and ancient teachings in ways that we can best understand, and suit our minds. 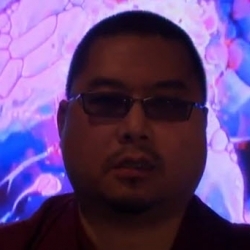 For that, we hold our Guru H.E. 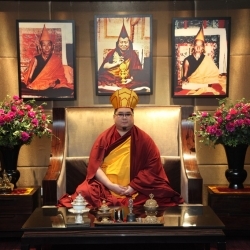 Tsem Rinpoche in the highest regard. 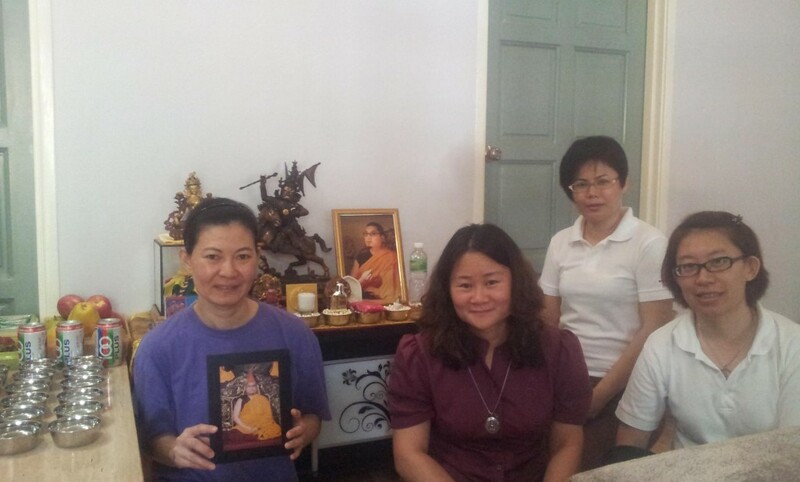 Pastor Chia presented an image of H.E. 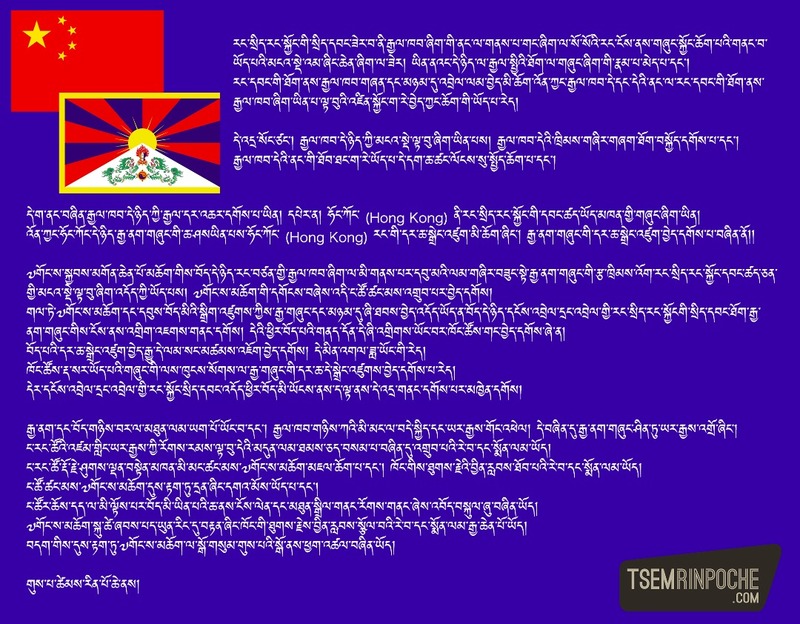 Tsem Rinpoche’s to the home owners. 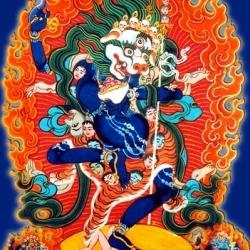 Inviting an image of a high lama is the same as inviting a Buddha (an enlightened being) to your home. It’s very blessed. When you’ve chosen to settle down, being connected through spirituality is one of the strongest bonds that you can have with your partner. They say that friends who pray together, stay together. 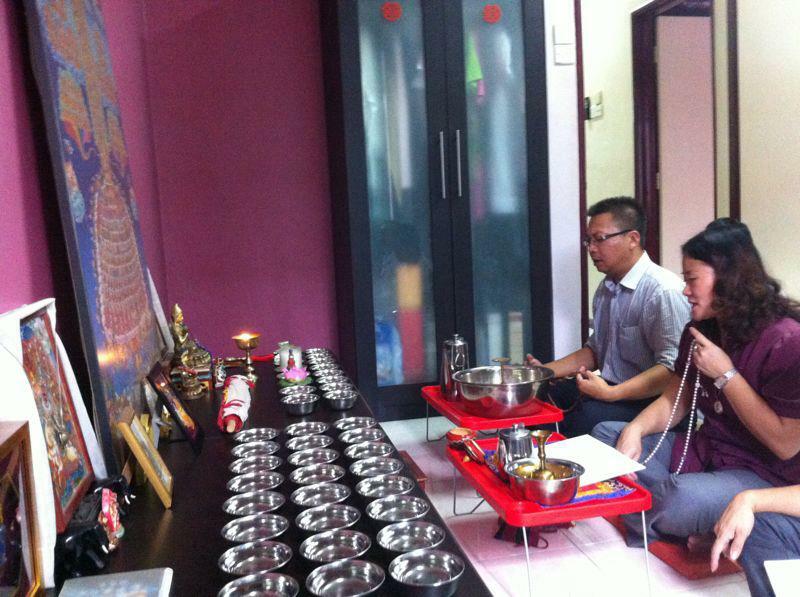 In this case, a Kechara member requested for the Pastors to bless his house and joined in the prayers! 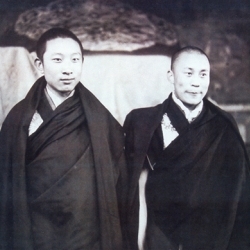 When we fully take refuge in the Three Jewels (Buddha, Dharma & Sangha) miracles can happen. 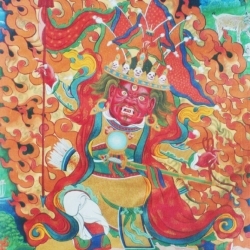 Setrap has been relied upon in Gaden Monastery (India) for over 600 hundred years. 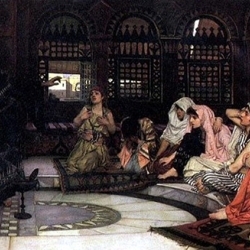 The effectiveness of Setrap’s practice has resulted in many taking Setrap as their principal protector. 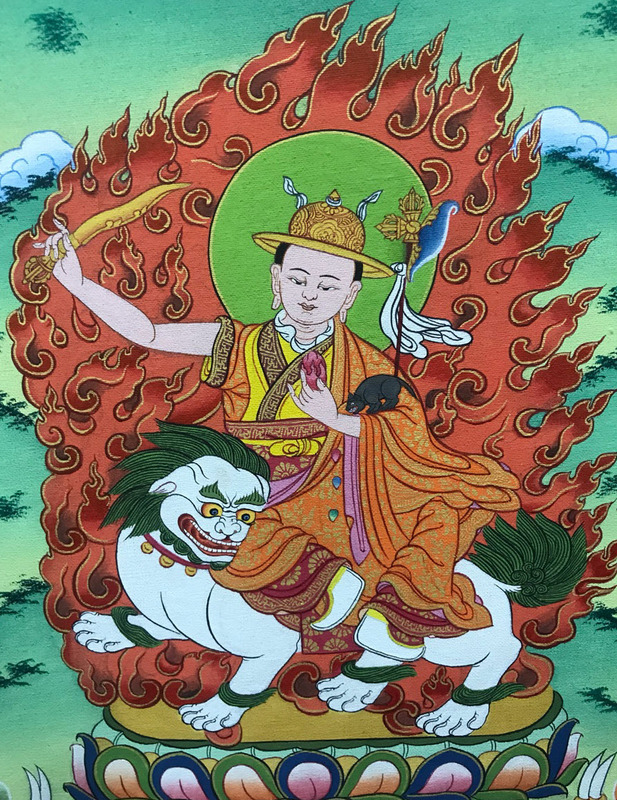 Setrap is the indispensable spiritual bodyguard in Sim Ting Ting’s life, and H.E Tsem Rinpoche is the most important guardian angel in her heart. You can tell where people place their priorities in life by looking at their homes. 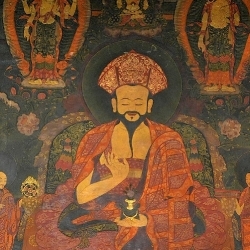 The Chen family chooses to focus on spirituality, rather than materialism – and that itself will bring them further in life, than acquiring possessions. 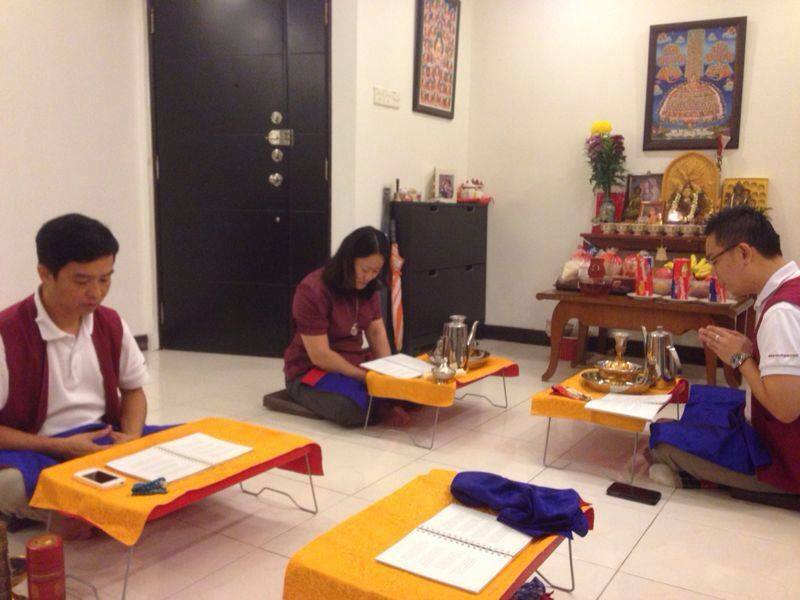 The Kechara Pastors work tirelessly to help and benefit others, and are on call 24 hours. 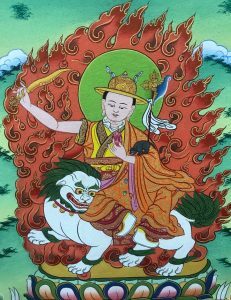 On many occasions, they need to travel to different states to perform bereavement prayers for the deceased, house blessings and office blessings. 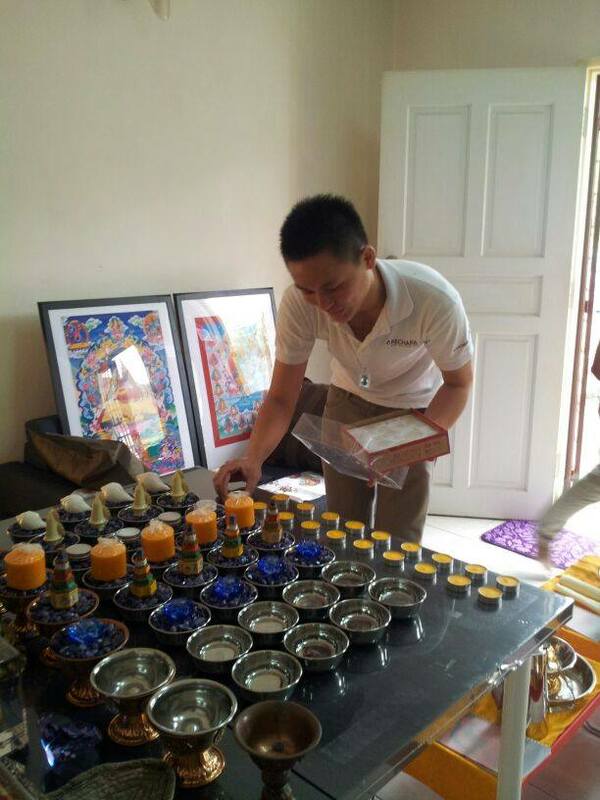 Donating to the Kechara Pastors goes a long way! 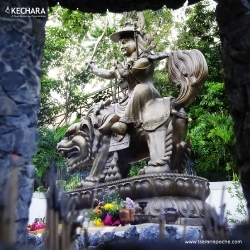 Click on the Donate button below to contribute towards the continuation of good works by the Kechara Pastors. 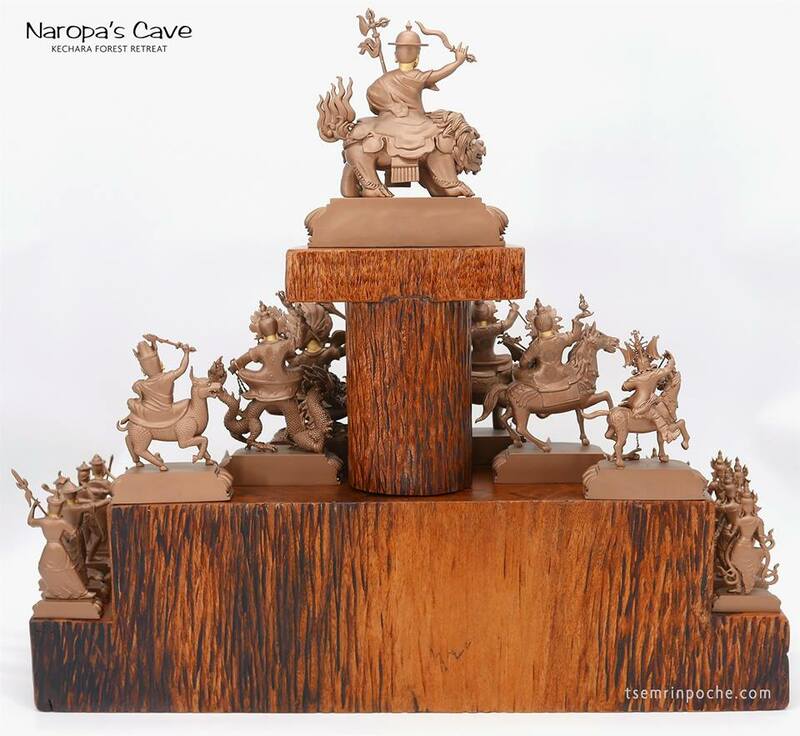 It’s wonderful to see so many people requesting the assistance of Puja House for blessings, be it for the new year or a fresh start in a new home. 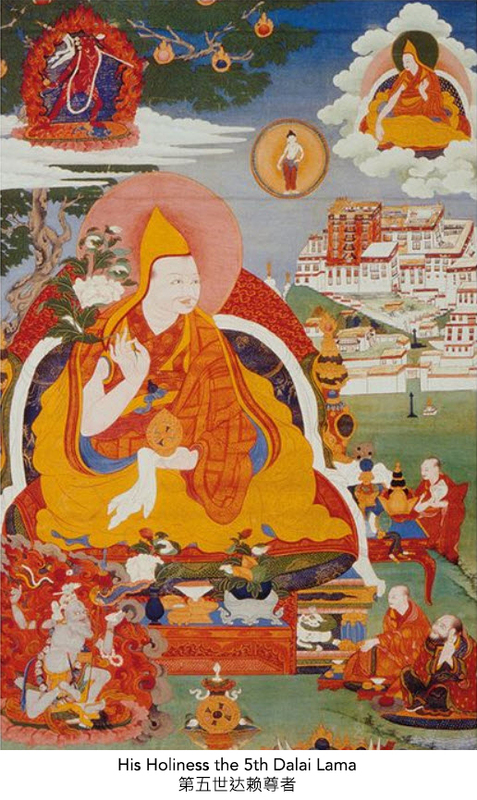 It goes to show that more people are discovering Buddha Shakyamuni and Lama Tsongkhapa’s teachings and connecting with it. 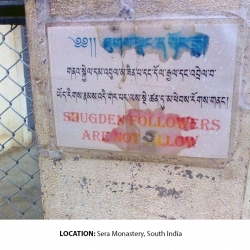 It is also an affirmation to those are already practicing to continue their faith and their journey in dharma. 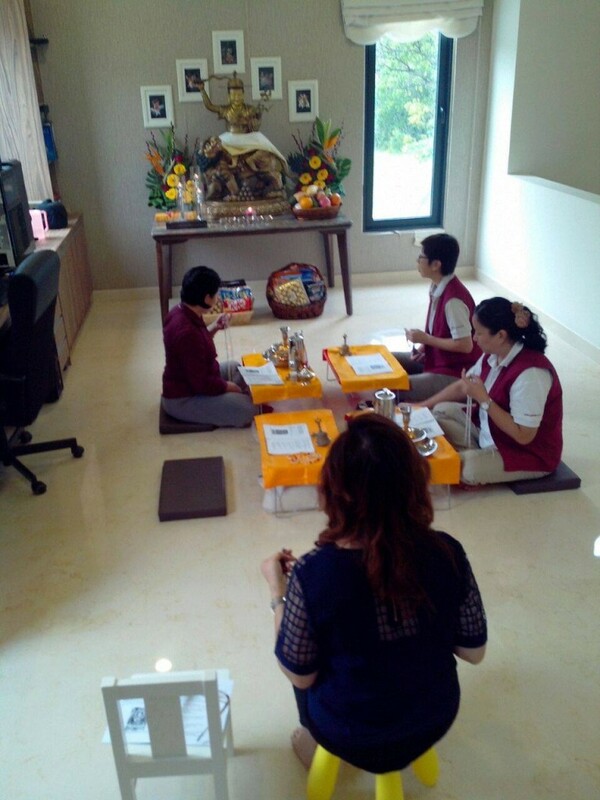 Always grateful to the puja team being always there in our hour of need. 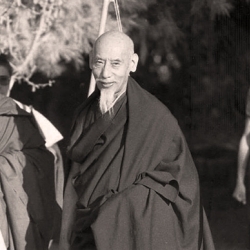 Thank you, Rinpoche for bringing this practice to our shores. 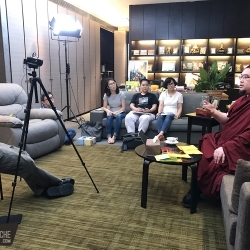 Thank you for sharing these wonderful and significant photos showed that Kechara Pastors’ tireless efforts to bring dharma to many others and do the blessings whenever is necessary. 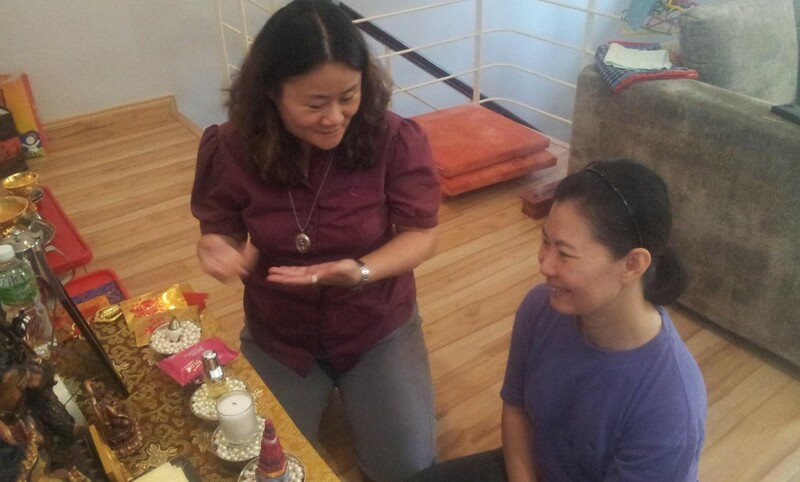 May more and more people meet up and get to learn about Dharma Protector Dorje Shugden. 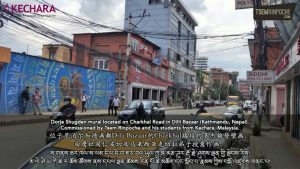 Many people have been benefitted by Dorje Shugden. 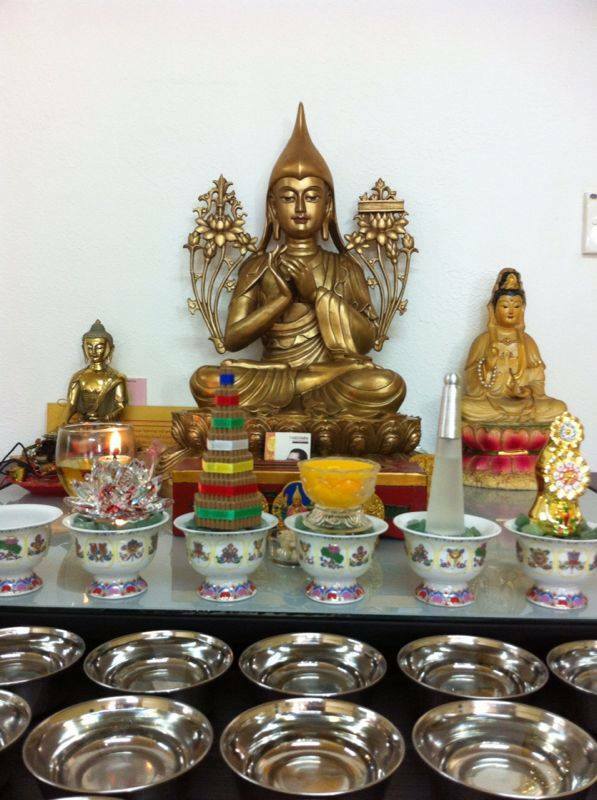 An altar or shrine to the 3 Jewels – Buddha, Dharma and Sangha should be the center of all our daily prayers, mantra recitations, offerings and devotions. 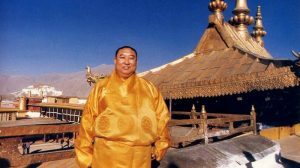 It is where we collect spiritual merits for purification of karma, avoidance of obstacles and development of our spirituality. 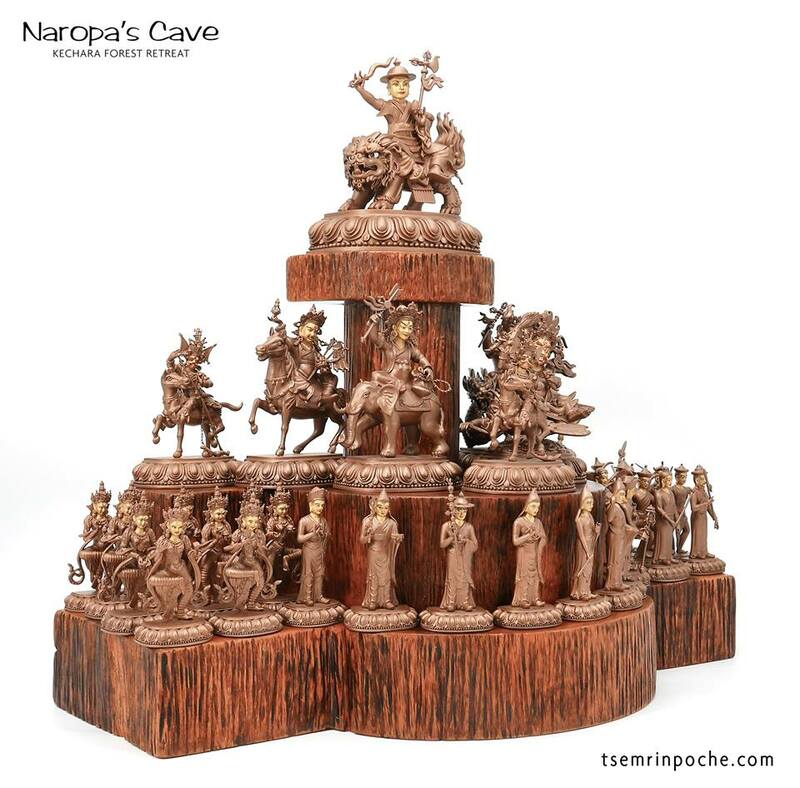 Hence, it is important that we spend our best on the shrine to ensure we collect as much merits as we can. 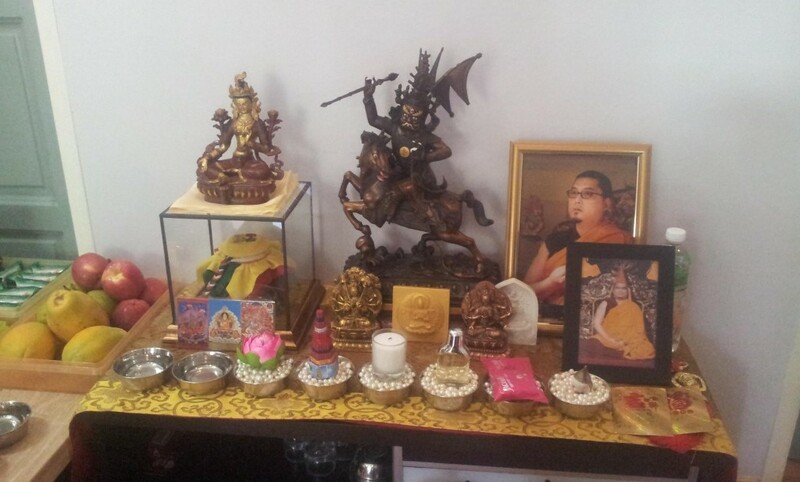 Hence, for lay people, we should be as elaborate with our shrines as possible. 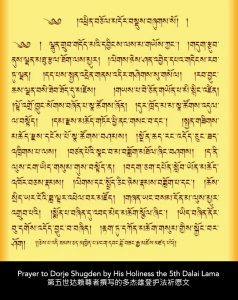 The 3 Jewels do not need it, we need it for all that was mentioned and above all, contentment, happiness and good fortune in this and future lives as well. We never know when we will loose this precious life and all opportunities to change our future lives would be gone. 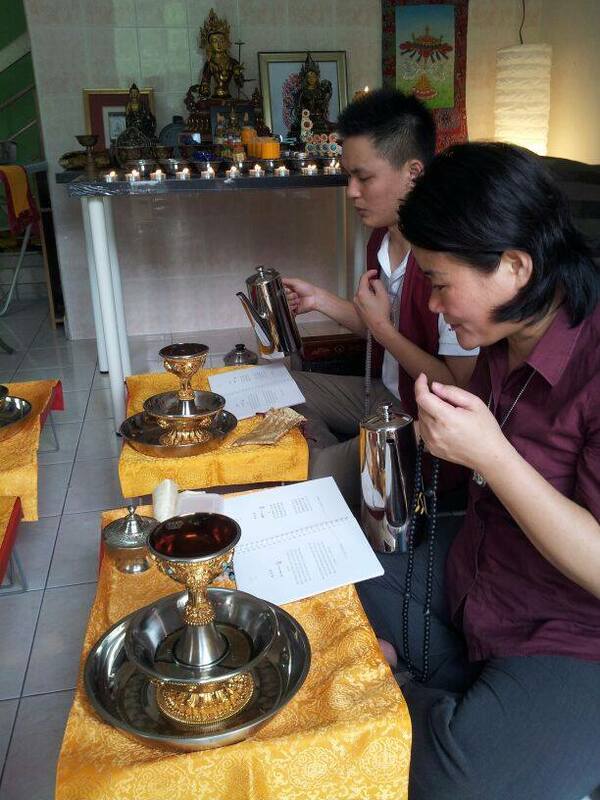 I can see that more and more people as asking the Kechara Pastors to come to their house and do house blessings. 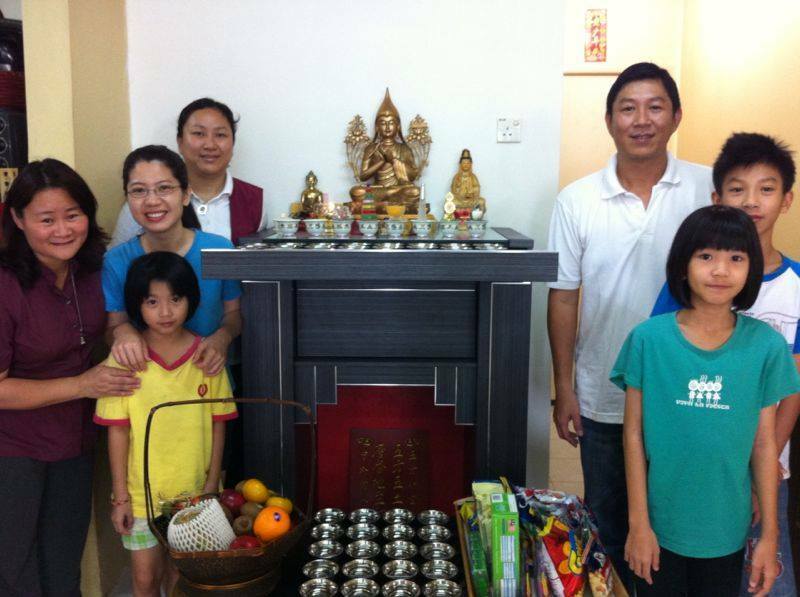 Throughout the years, Kechara Pastors are busy going around the whole of Malaysia (and sometimes to Singapore) to bring Buddha’s blessings to many people. 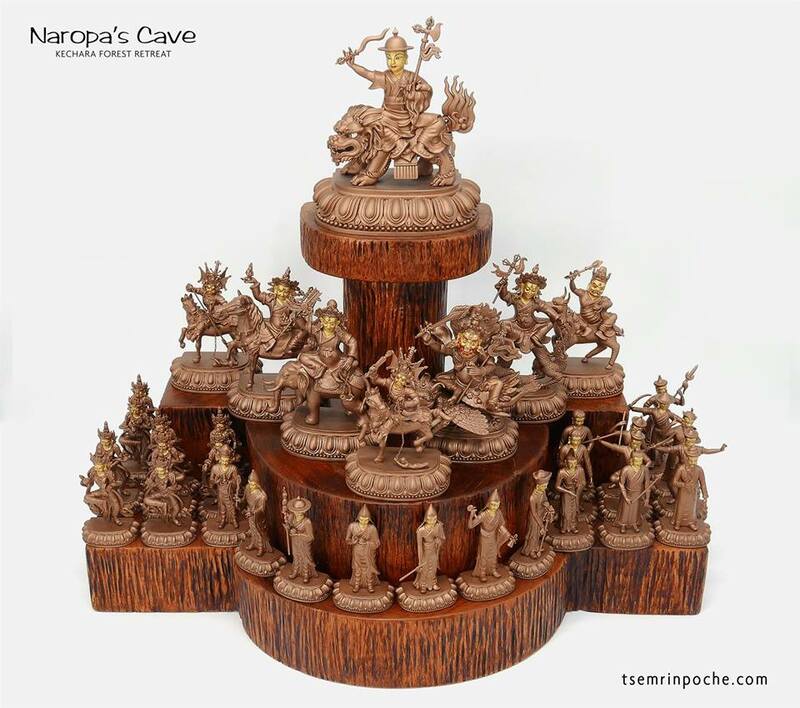 I am grateful for Tsem Rinpoche for starting the Pastors systems in Kechara to benefit so many people in so many different ways. 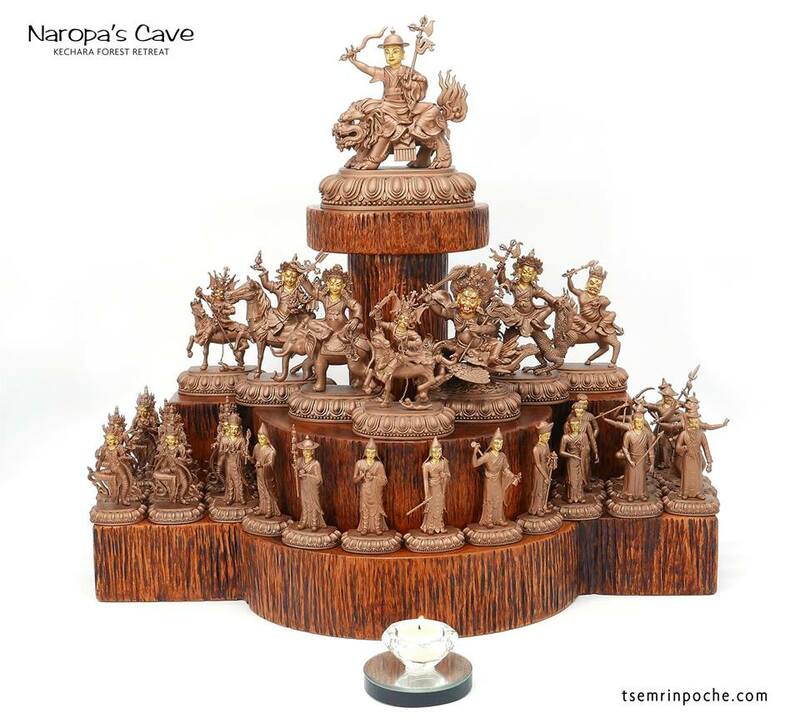 From the images, I can see many beautiful altars. 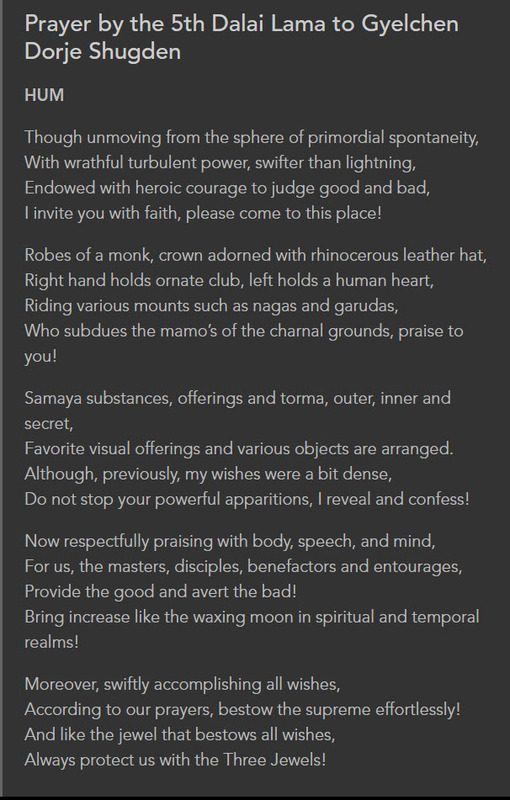 It should come into handy when I need to setup my own altar later. 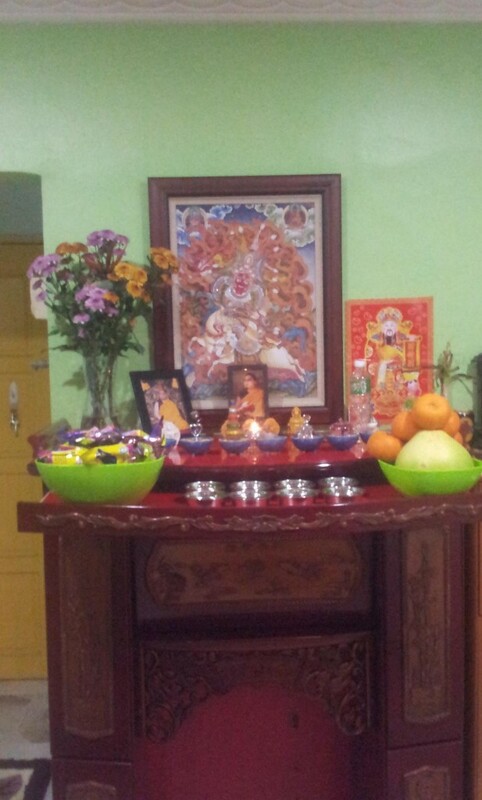 Rejoice to all the families who had set up a Buddhist altar at home and conducted a house blessing puja. 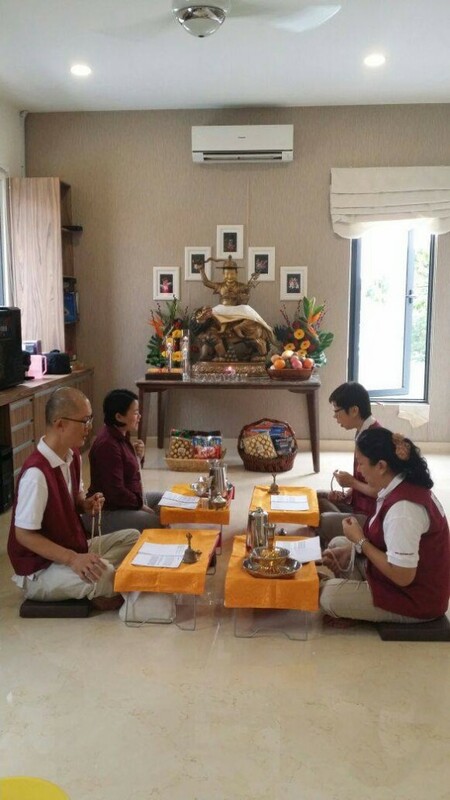 There are various benefits of having the house blessing puja conducted, which ranges from bringing well-being on all levels – in one’s health, relationships, business, and family – to purifying the home. 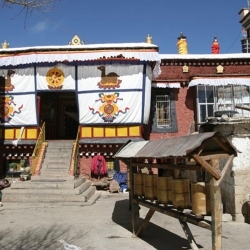 The puja ceremonies will purify the environment which helps the people who live there and people who are visiting there to experience general well-being. 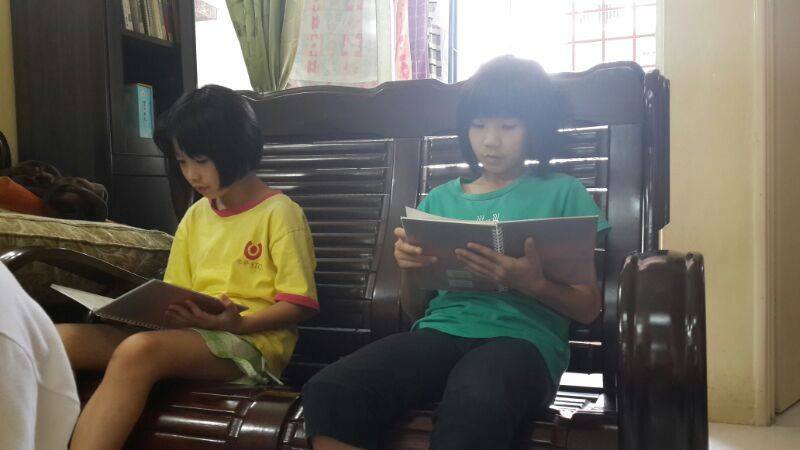 Thank you for sharing with us the many photos, it is very heartwarming to know that these families will always be blessed by the Three Jewels. 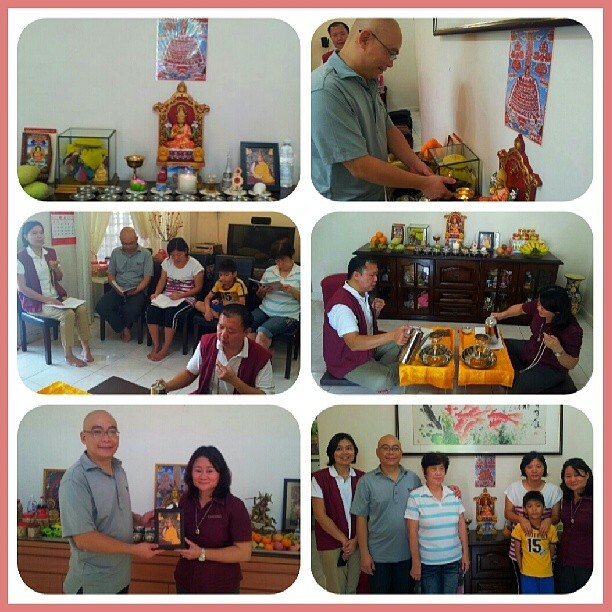 Thank you Kechara pastors and puja team for always being around whenever we need pujas or blessings to be done. Especially when we have emergencies such as passing away of a loved one or urgent cases. 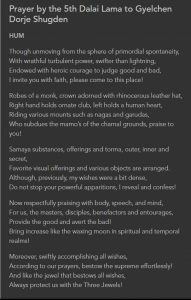 My family and I recently moved into a new place during Chinese New Year and we asked the puja team to do a house blessing. 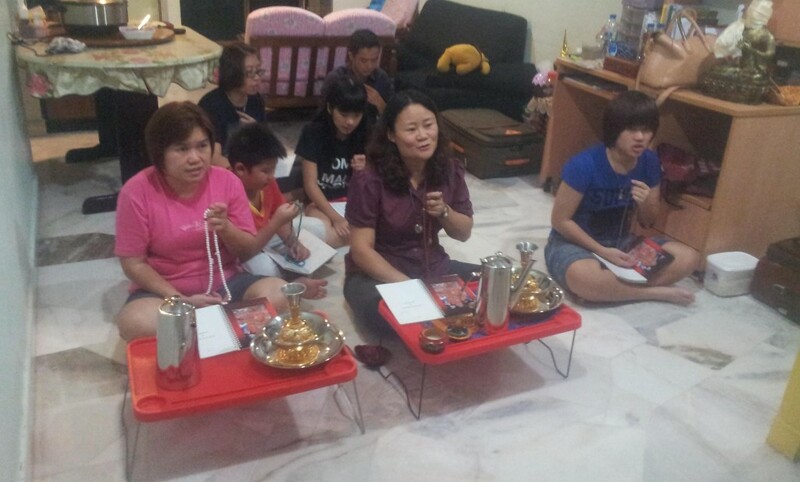 I always like to watch them perform pujas. 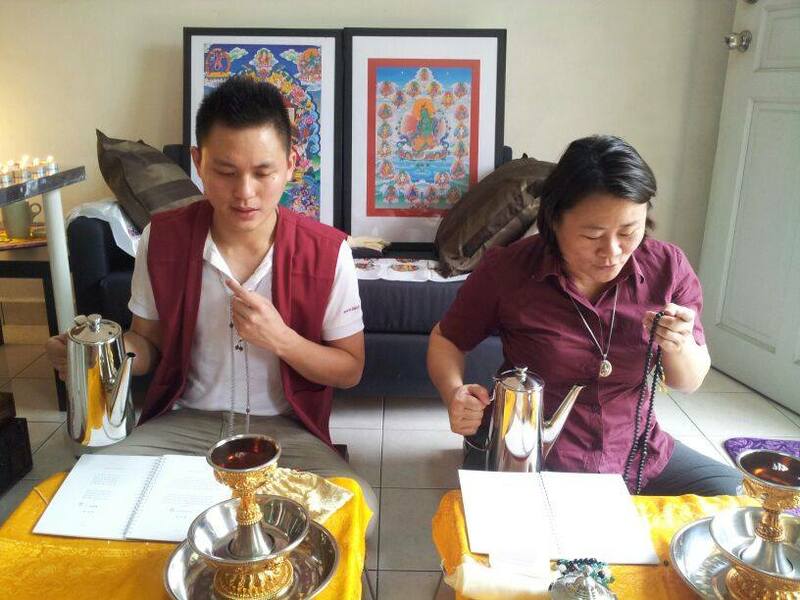 Not only do they look professional in their uniform but they are so well trained and well versed with the pujas. I strongly recommend their services to all those who need it. 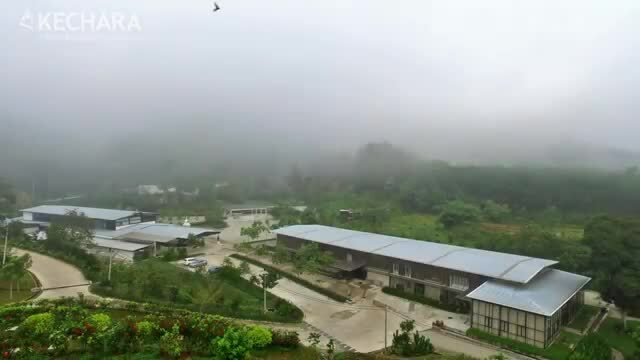 Great service provide by Kechara House, thank you Tsem Rinpoche for creating the cause for everyone to get connected to BuddhaDharma. 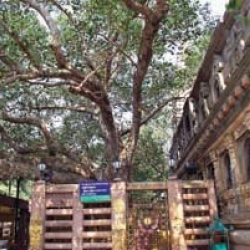 Where there is a need there is Puja House! 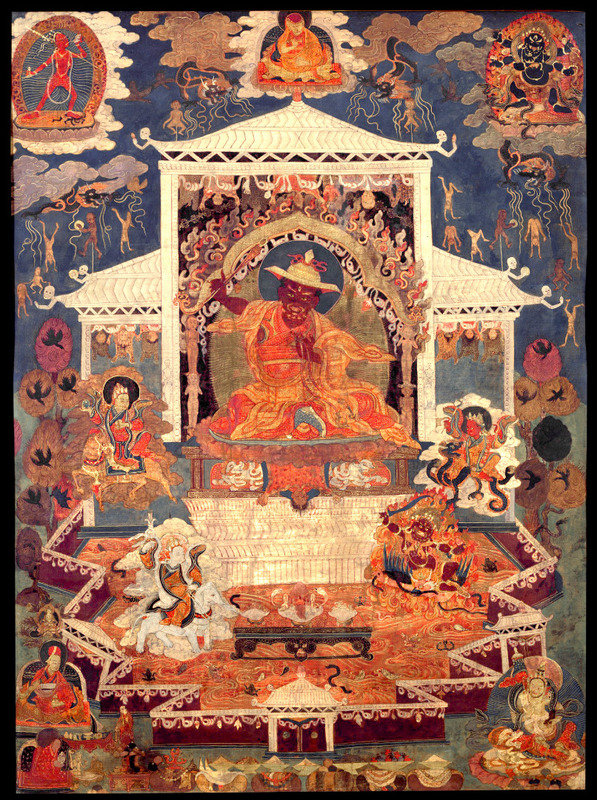 Life in samsara can never be smooth sailing. Nobody has it easy all of the time always. That is why everyone could do with a little bit of help. 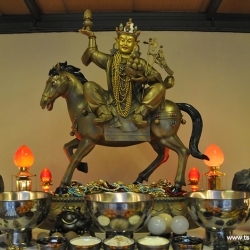 House blessings are really beneficial and we don’t even have to be buddhist for it to work. 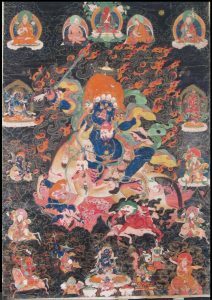 Of course ordering a puja to be done or sponsoring one is beneficial, but having a daily practice ourselves is doubly beneficial. 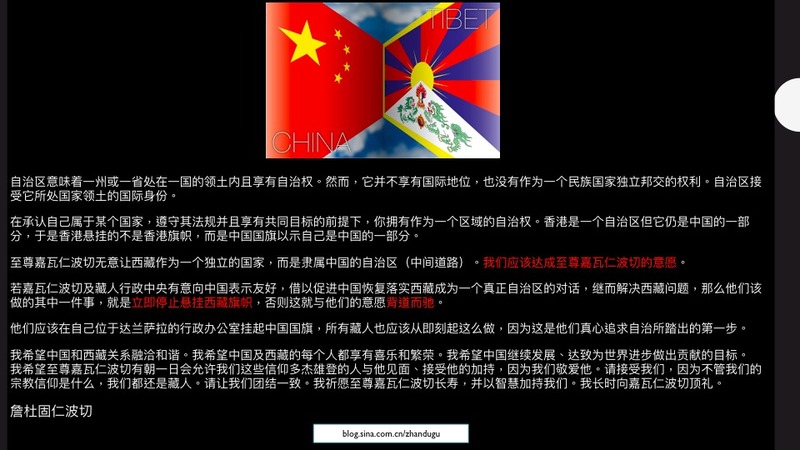 It’s just like we can’t pay someone to make us enlightened and we need to work at it ourselves. But we must first know the way. 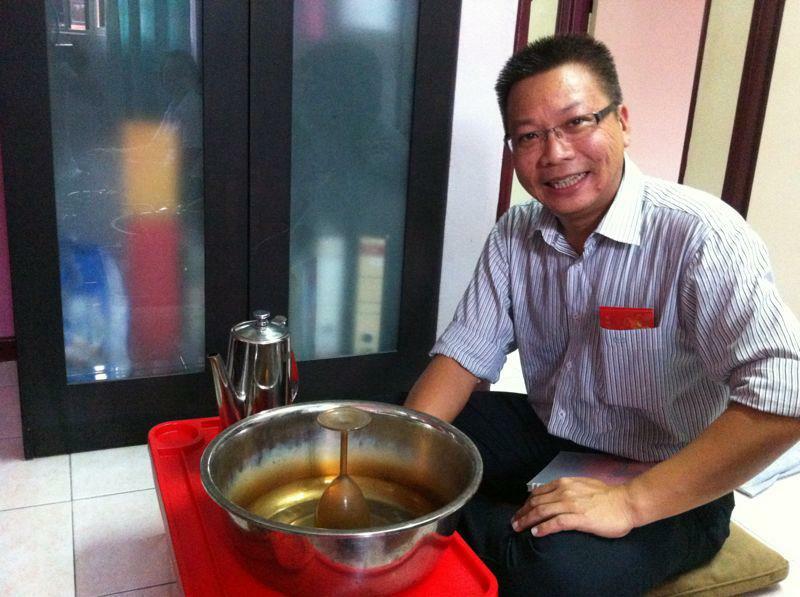 Thank you Admin for sharing this post about the good works of our Kechara Pastors have done for the benefit of others. The various works that our Pastors offer are house blessing, baby blessing, office blessing, car blessing, bereavement puja etc. I would like to thank all the Pastors who have worked non-stop and round the clock to help others. 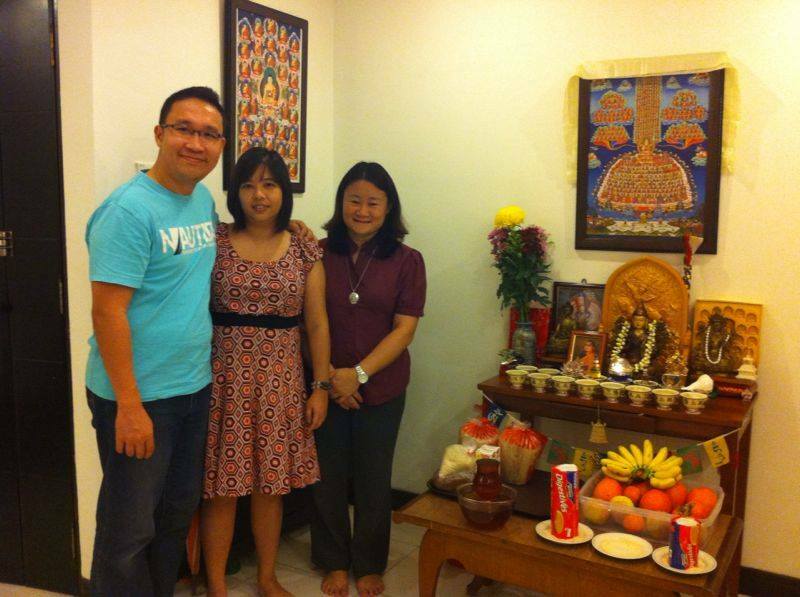 Great Puja team who served and benefits others more than anyone else.Rejoice to those served and those who received .Wow …there was 10 incredible house blessing by the hard working Puja team done during the CNY .These show that more and more people know about Dorje Shugden ,having trust more.Inviting images of Buddha into our house is really wonderful and be blessed and get protection.The Puja team work had,tirelessly on call 24 hours always,to benefit all. 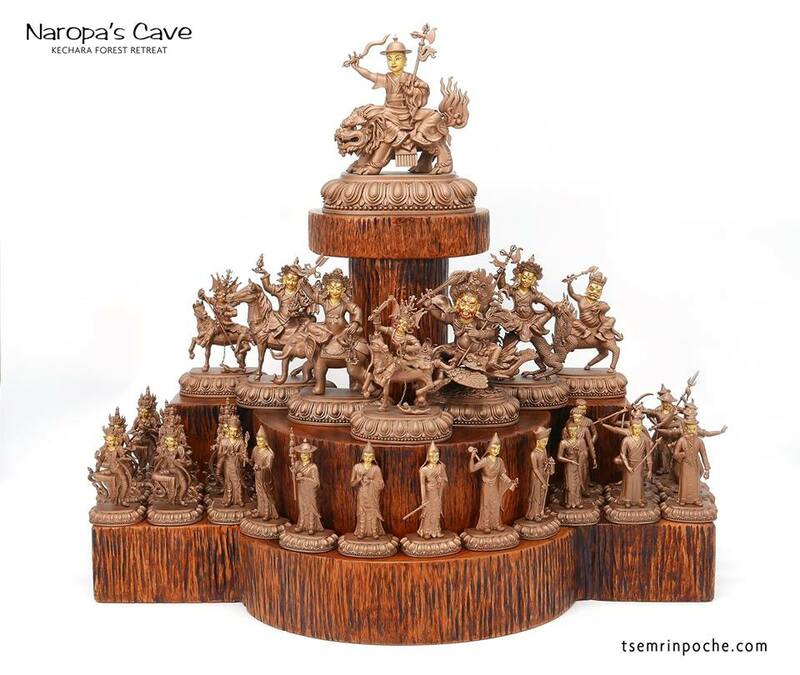 Thank you Rinpoche and admin for sharing .Beautiful photos shared. Thank you Pastor and the puja team who work tirelessly in arranging and doing puja for those in need and 24 hours on call. Rejoice for the family and houses that has been blessed. 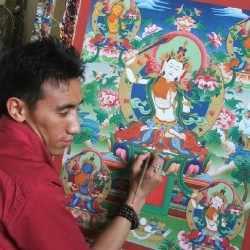 Great job to the Puja team and thank you Rinpoche for sharing this article. It’s always happy and joyful to see many invited Buddha home. 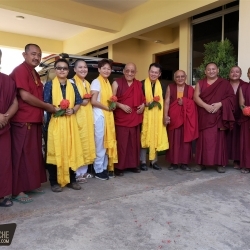 They have invited the most precious special guest home, for they are always able to connect to the Buddha and receive precious Dharma that can transform their life and their family members’ life forever. 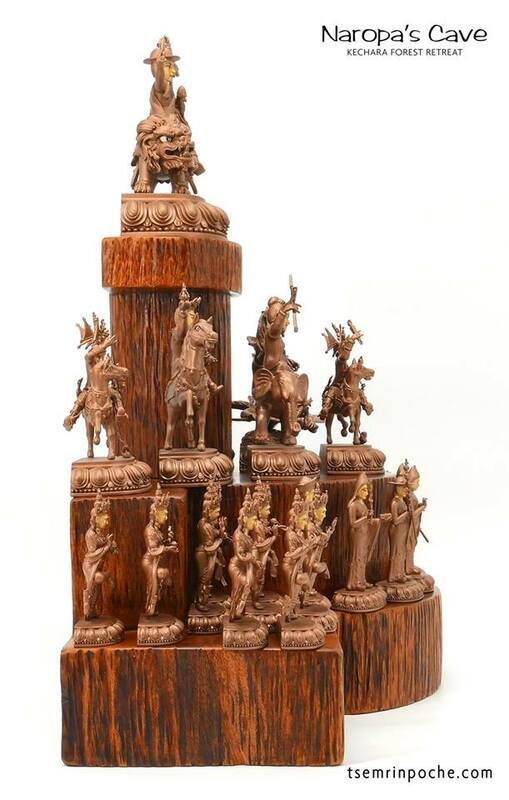 Buddha statue are not just pieces of metal, wood they represent Buddha’s enlightened qualities. 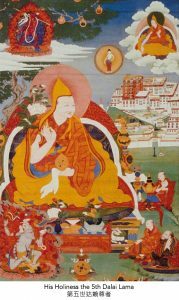 Buddha images brings up many benefits to all those who behold it. 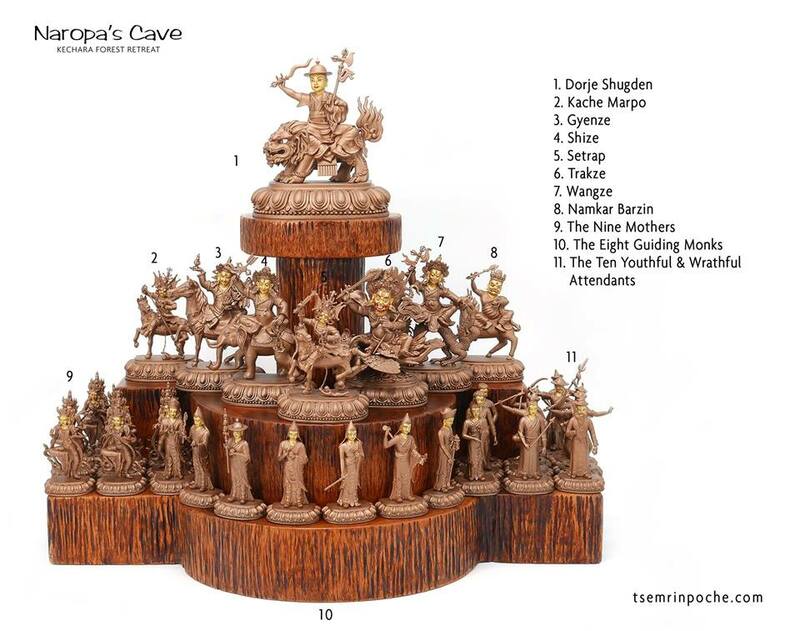 This is a lovely article on the puja service provided by the puja team. 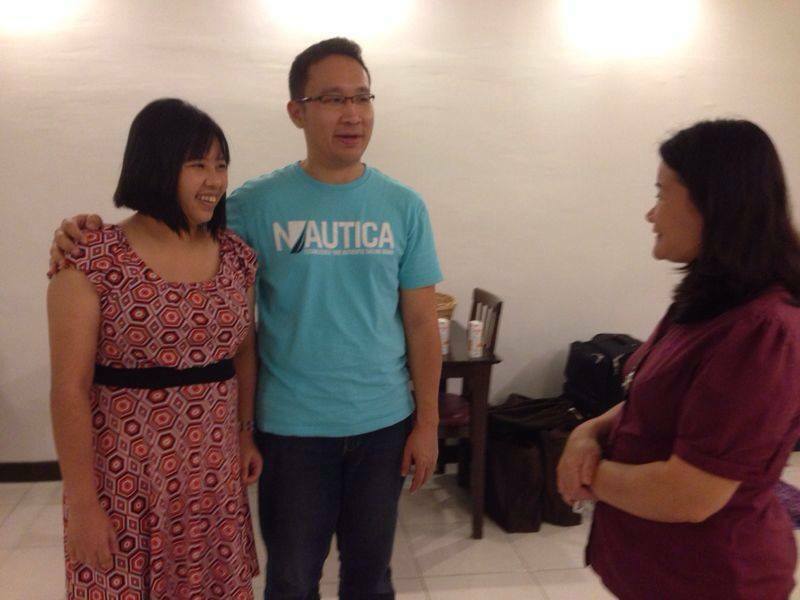 Pastor Yek Yee seems very kind and hard working and so does her team. 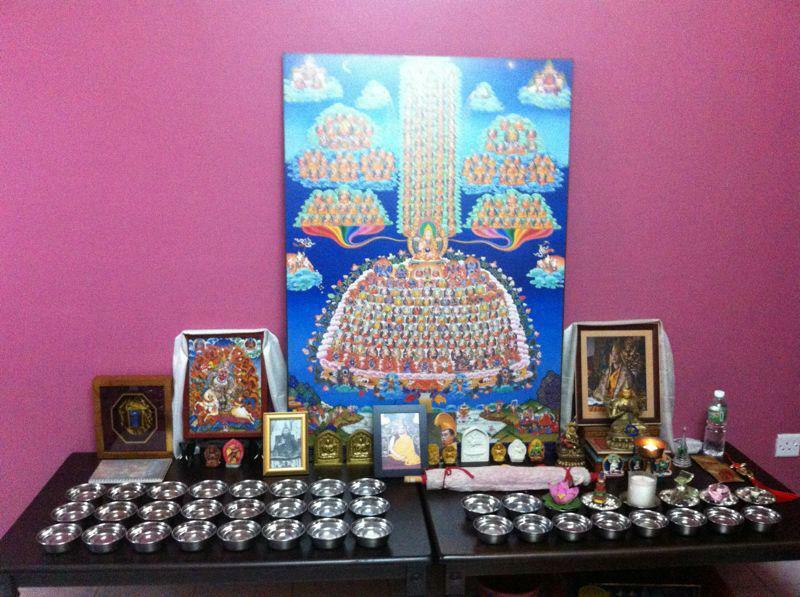 I love the altar in all the pictures and the feedback received from people is proof of the effectiveness of the pujas. 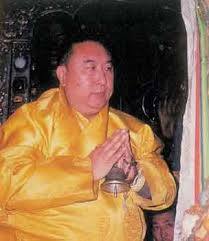 I love pujas and prayers to buddhas. Nice. 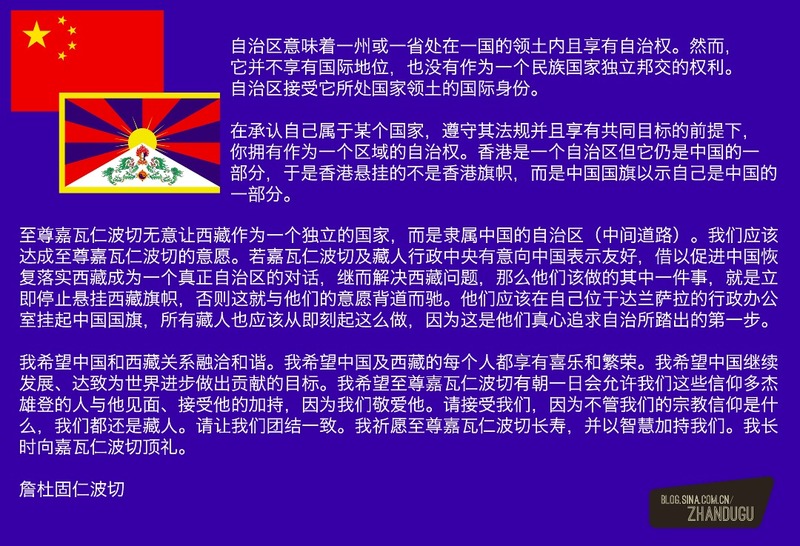 Thank you for the post Rinpoche and your generosity to everyone. Thank you Admin for the sharing. 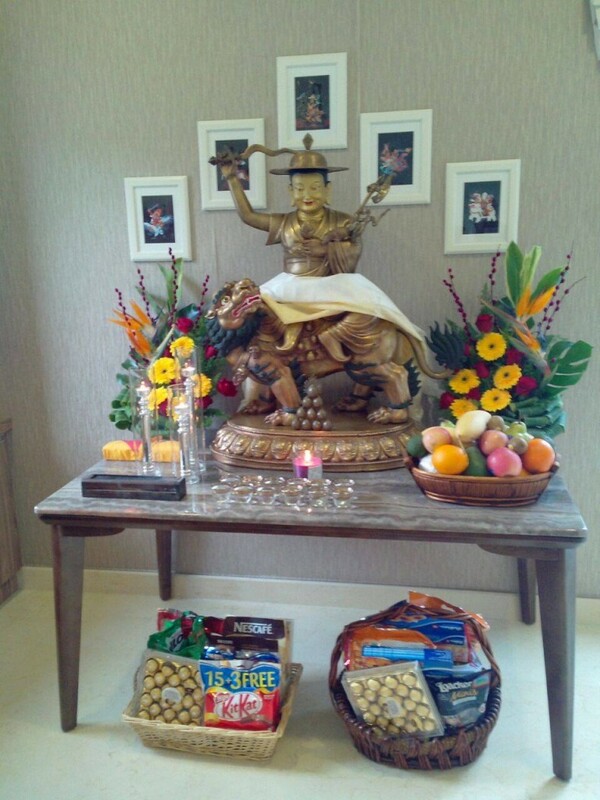 May the Puja House continue to flourish to benefit more and more sentient beings. 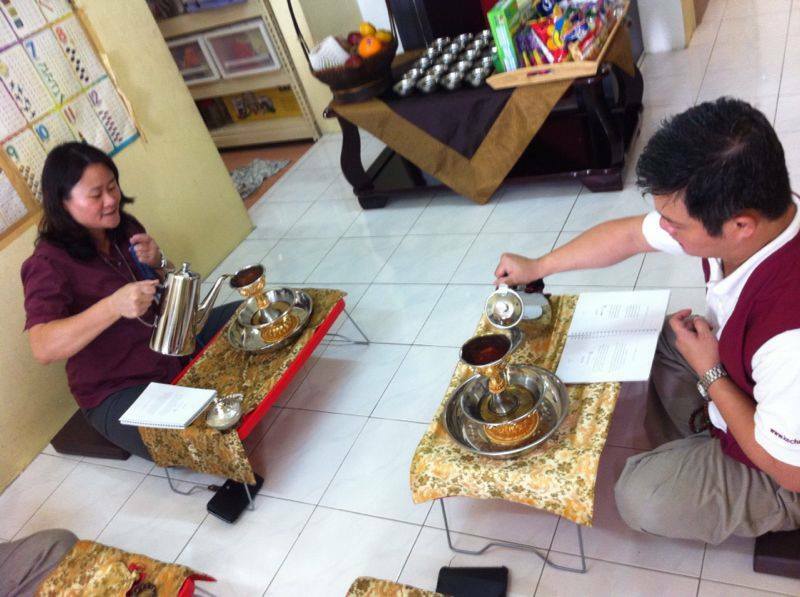 The pastors definitely work tirelessly for the pujas. 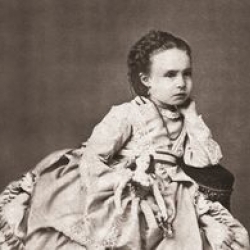 Whenever people need any help at all by just calling them they would not say no, the would help to arrange for something that would be immediately done. 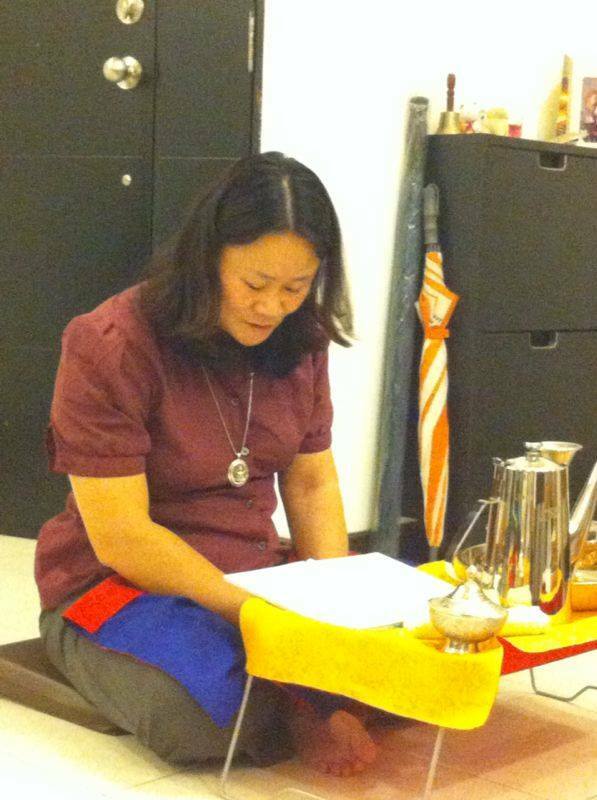 Pastor Yek Yee is always smiling, willing to teach and help no matter how tired she may be. The whole puja team is just awesome. They would just drop by when they are being called, with everything prepared for. 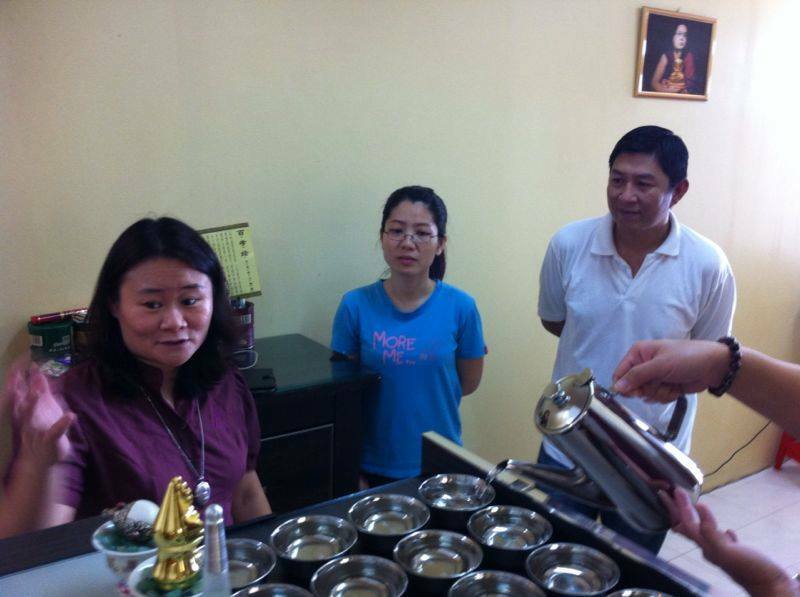 I remember that there was once where there was a office blessing that was done, after the puja, Pastor was held back by my colleagues to ask her about some questions. Although she was rushing for time, but she still stayed on and answered all the questions that we had before she left. I really thank the pastors and puja team for always being so committed to help all that would need their assistance. 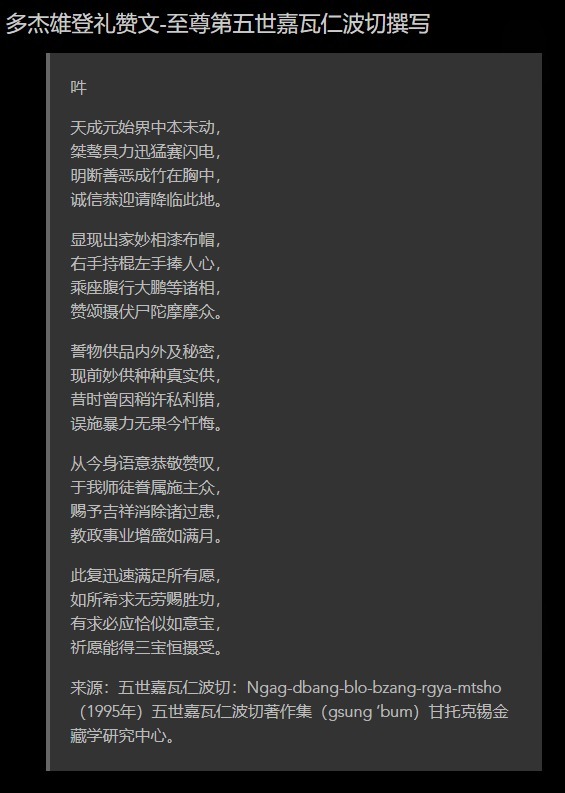 The most amazing picture that stood out from the rest is Mr.Xu’s big serkym set. This really ‘wow’ me off. 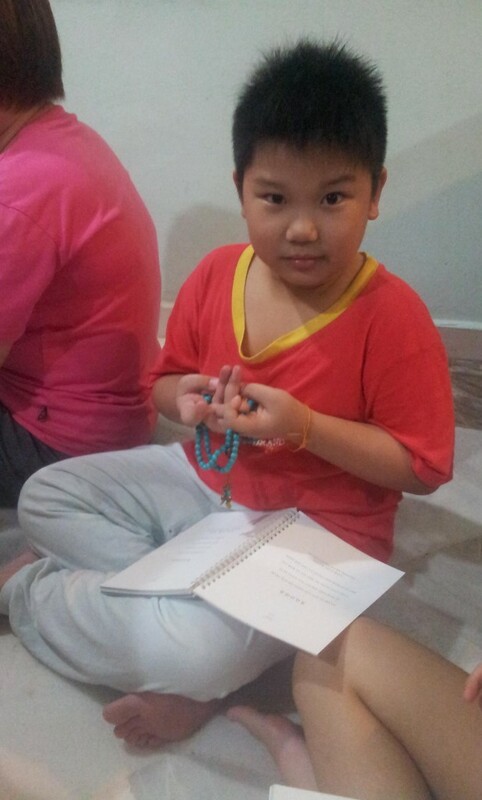 Next is the big boy who did the mandala hand mudra. I love all these pictures. Thank you to Pastor Yek Yee, Pastor Chia and the team. I wanted to extend my deepest gratitude to them for everything that they have done. I believe they have done/sacrificed much more than this. Often times, they have to get up early to prepare. They literally have to ‘cut down’ their time with their loved ones at home, get up from their bed early,familiarise themselves with the prayers, pre arrangement for the time, date and etc… Very dedicated and compassionate. 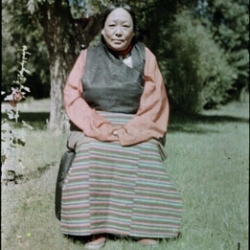 Rinpoche really saw through this from the very beginning. 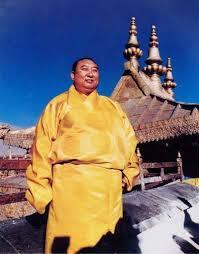 Despite the norm, Rinpoche has insisted on having Pastorship. Due to this, many have benefited directly and indirectly from Pastors and their dedicated team members. 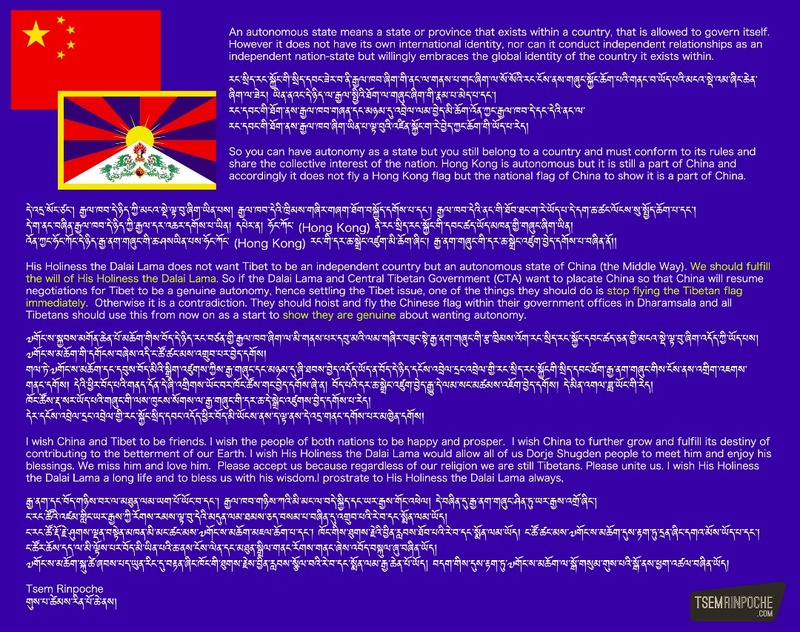 THANK YOU Rinpoche…….. 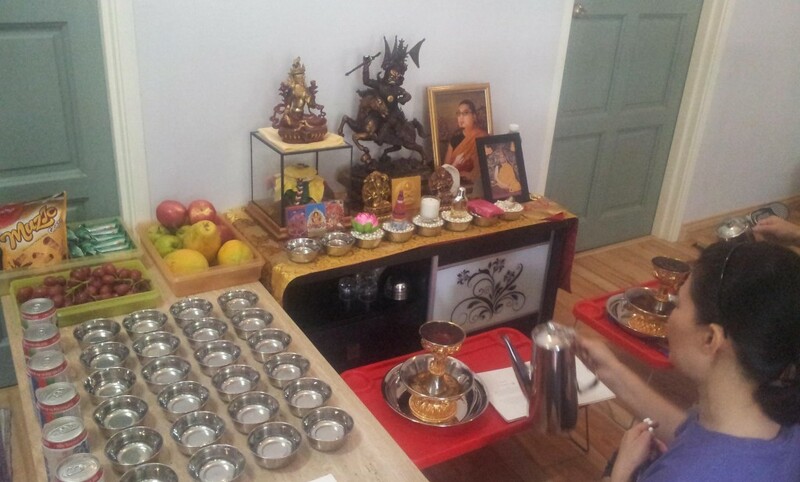 I am fortunate to be part of the Puja outcall group to visit the house and performe puja’s for the sponsors. 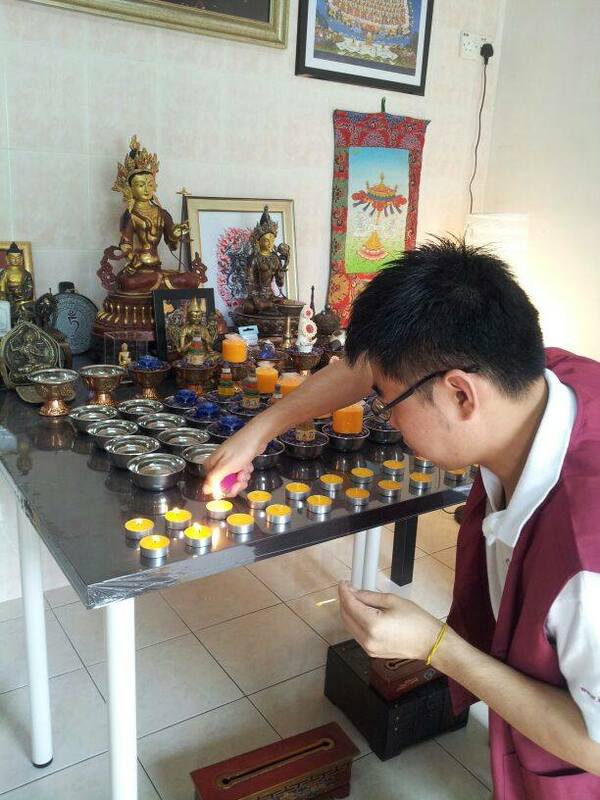 It is through the kindness of Rinpoche that Kechara have our very own Shabten Khang or Puja House in Malaysia, where we are able to perform Puja’s for sponsor with the various Puja available, but also we have an outcall Puja team who visit the sponsor houses together with Pastor to perform Pujas and bless their house. 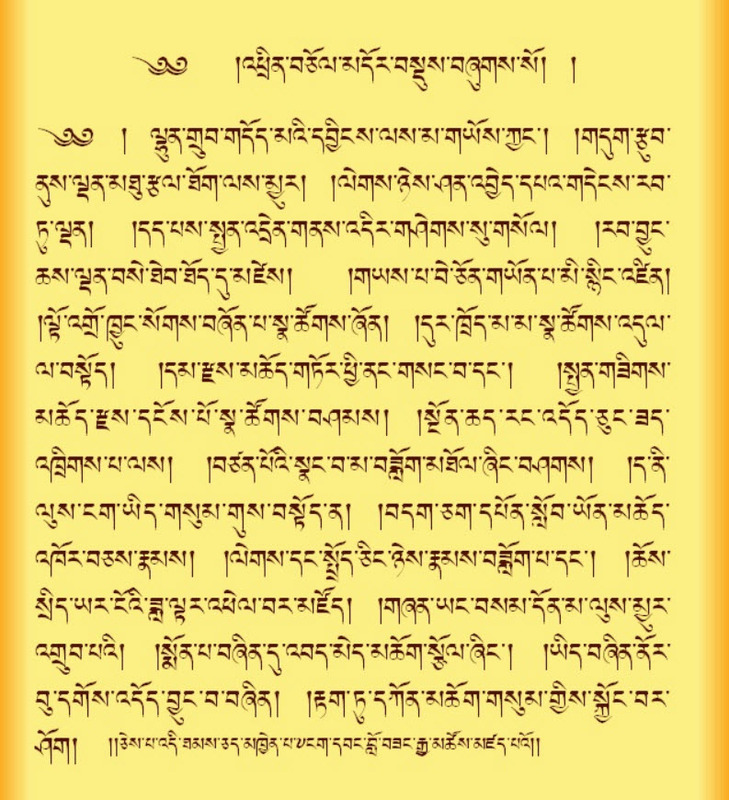 we are happy to see that the House blessing have been accepted by many and request Pastor to do house blessing for them, as they trust the blessing and power of Three Jewel for protections.